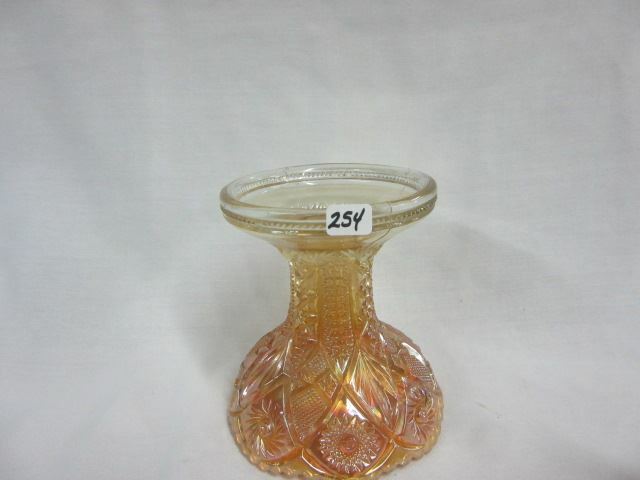 Another of the many Imperial cut-style or geometric patterns. 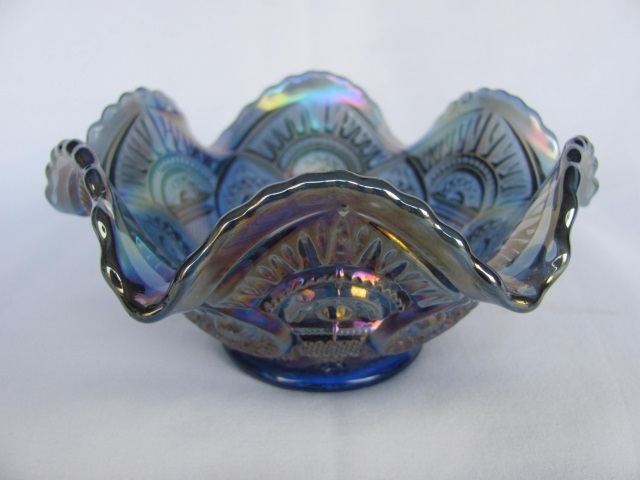 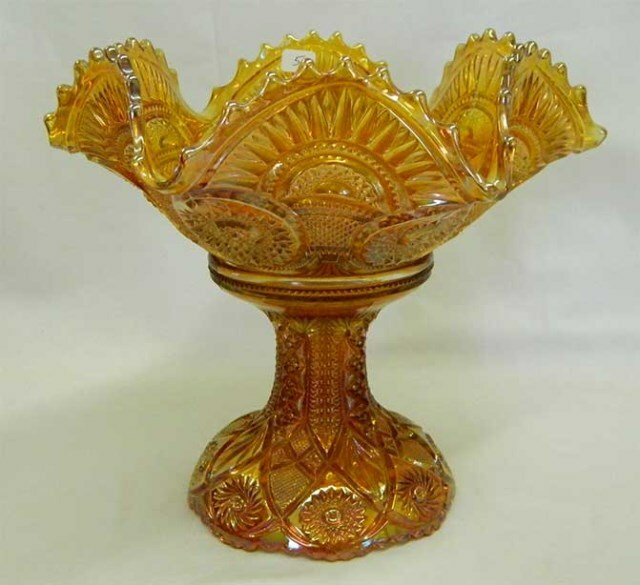 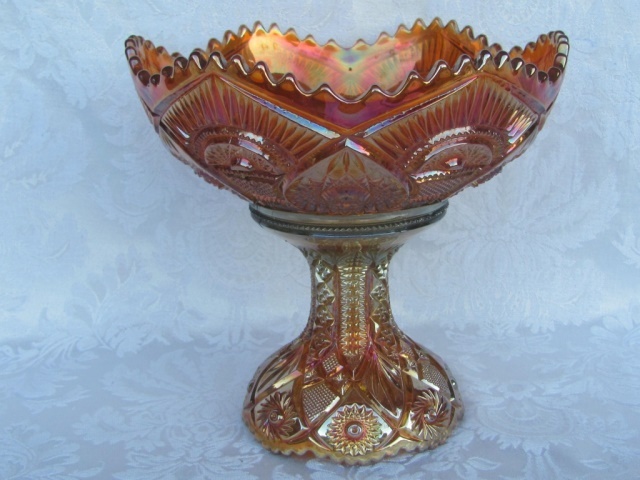 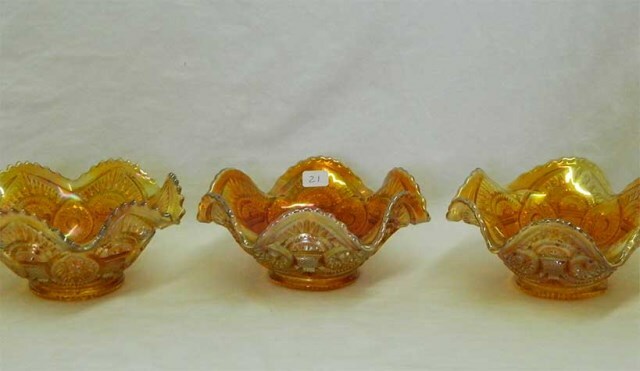 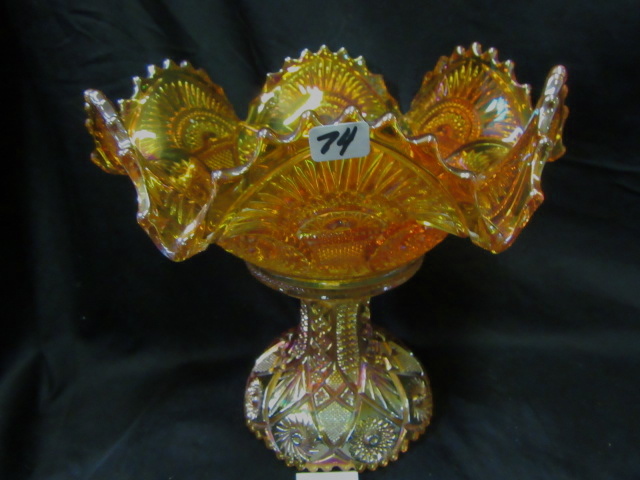 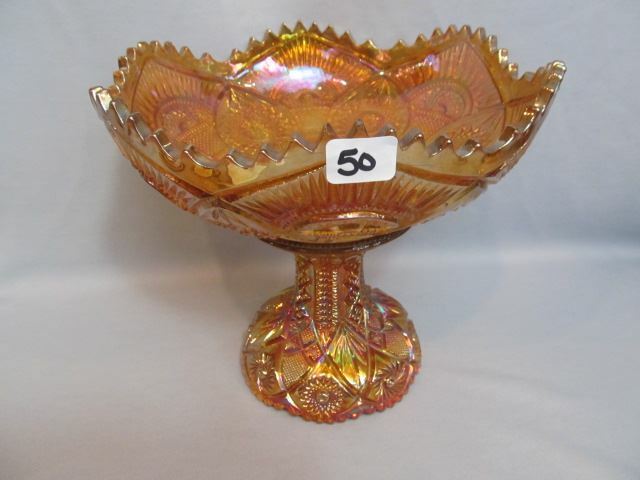 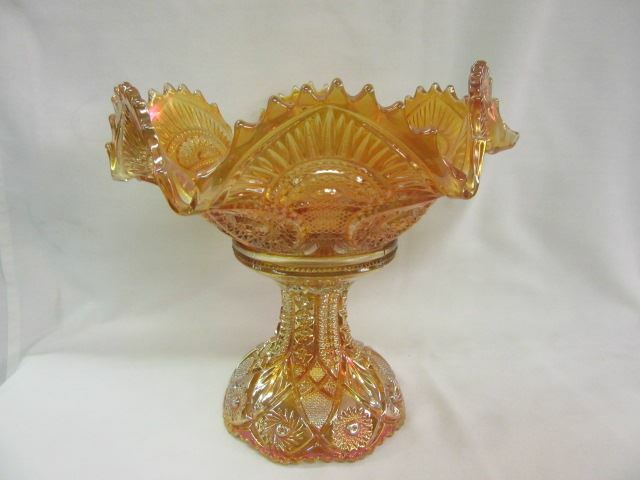 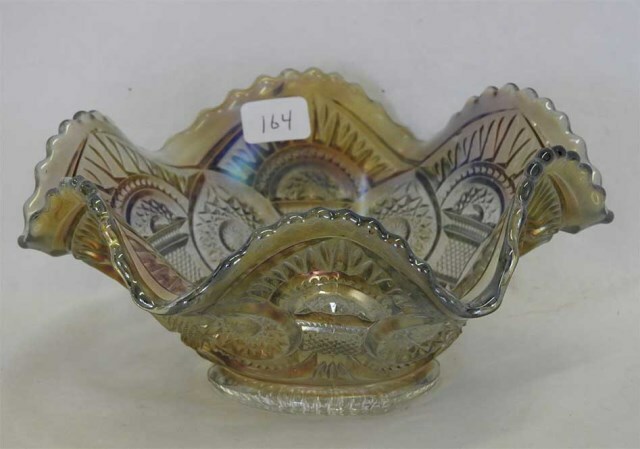 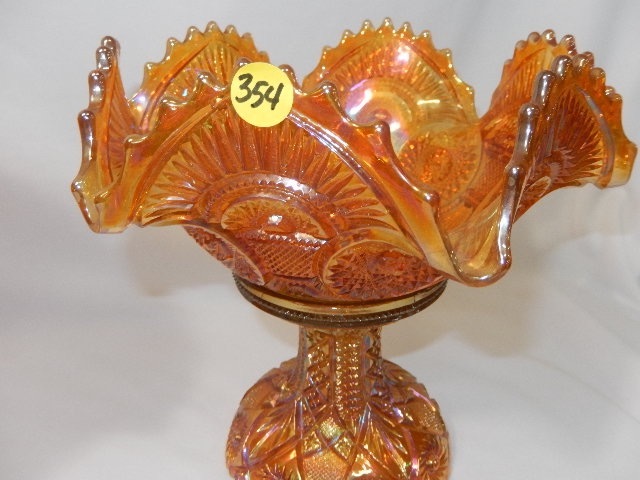 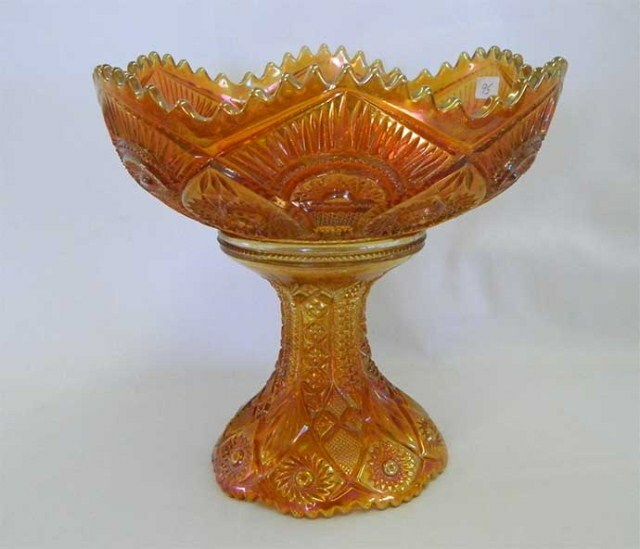 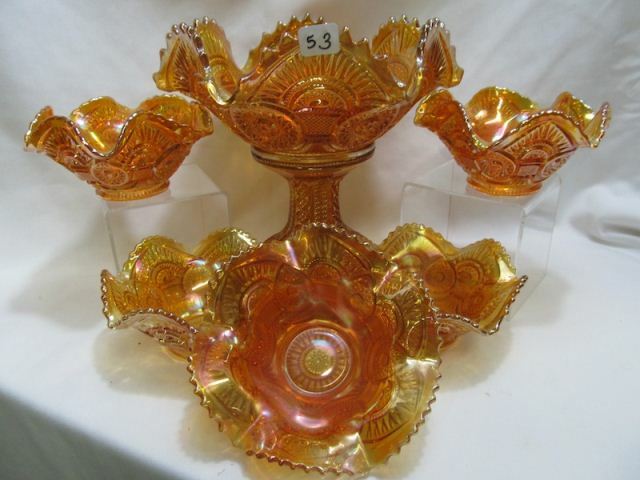 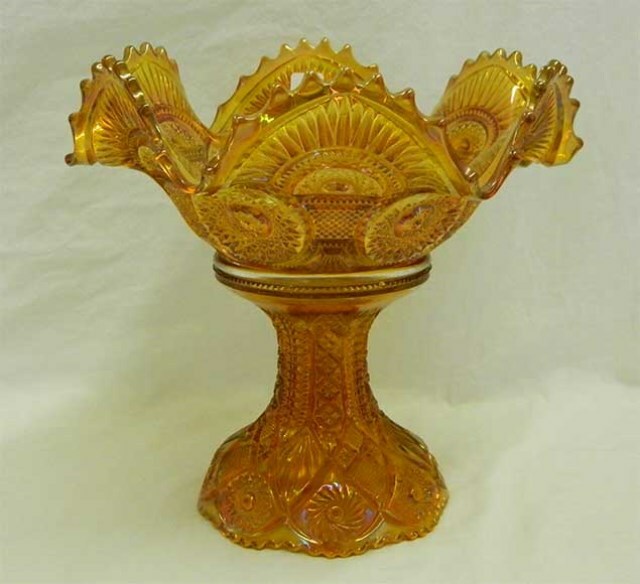 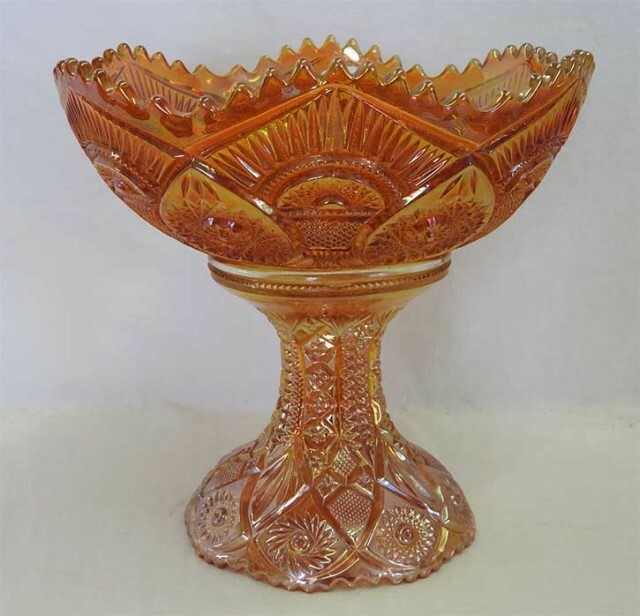 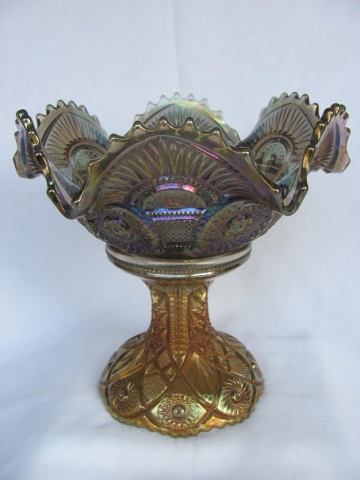 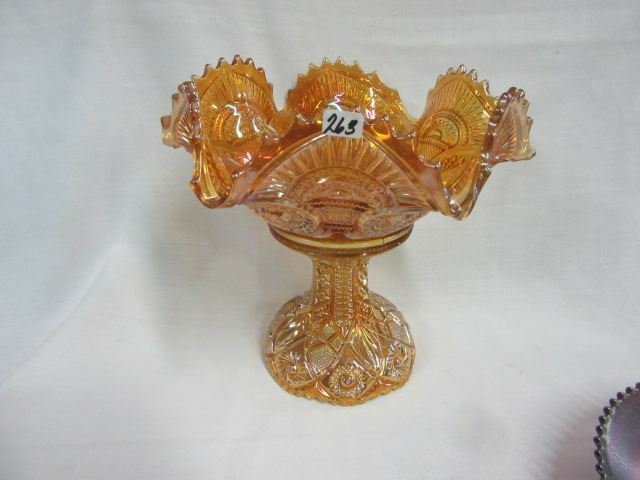 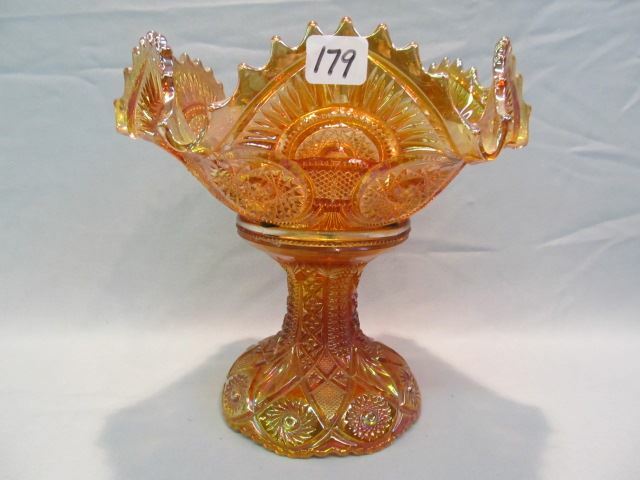 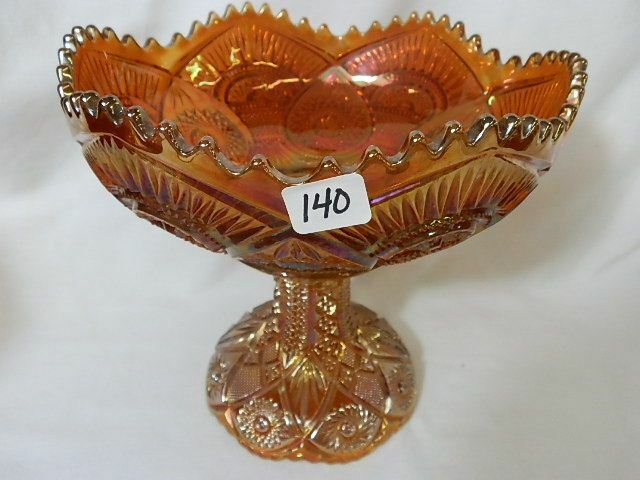 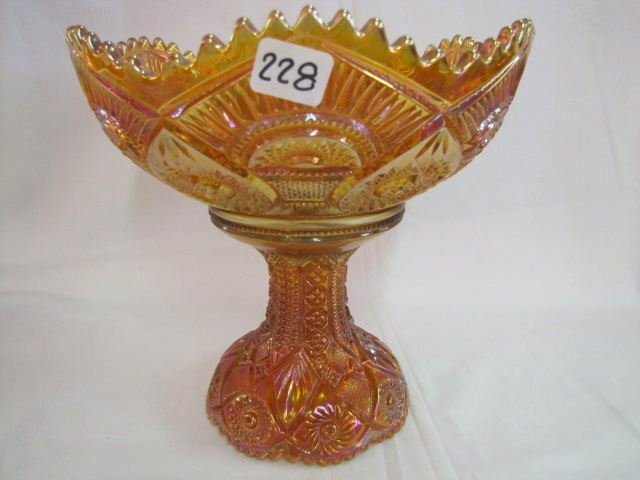 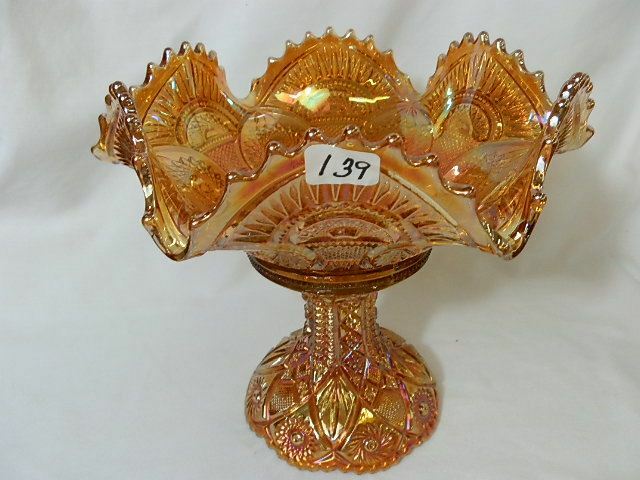 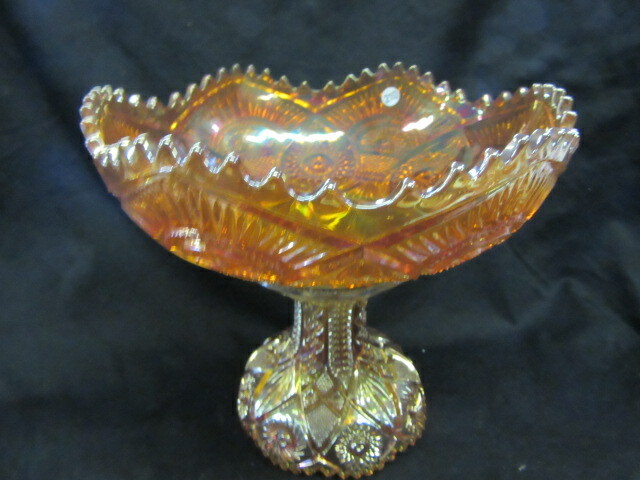 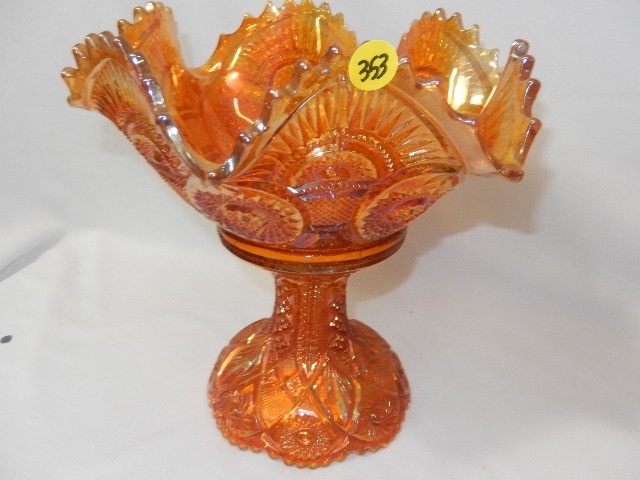 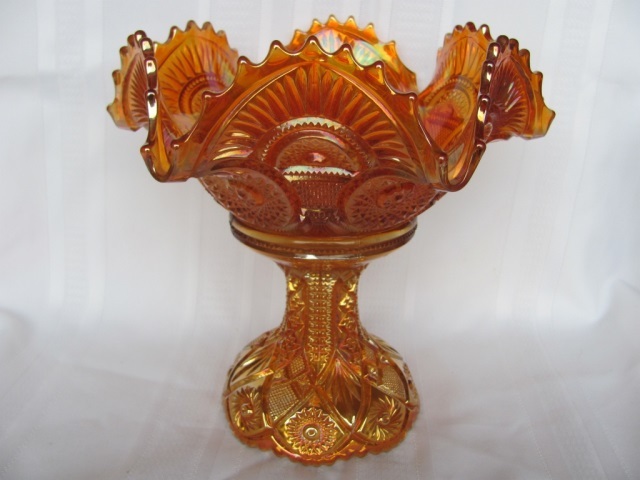 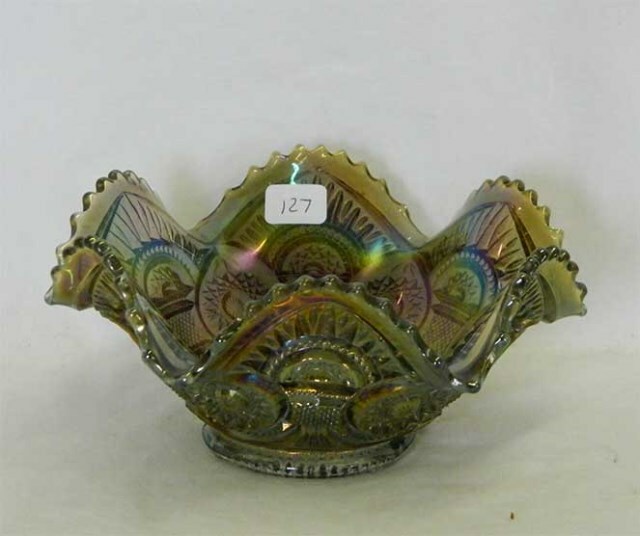 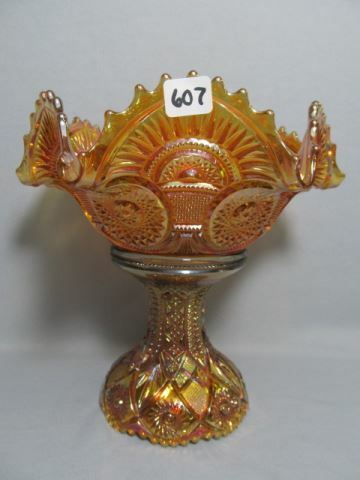 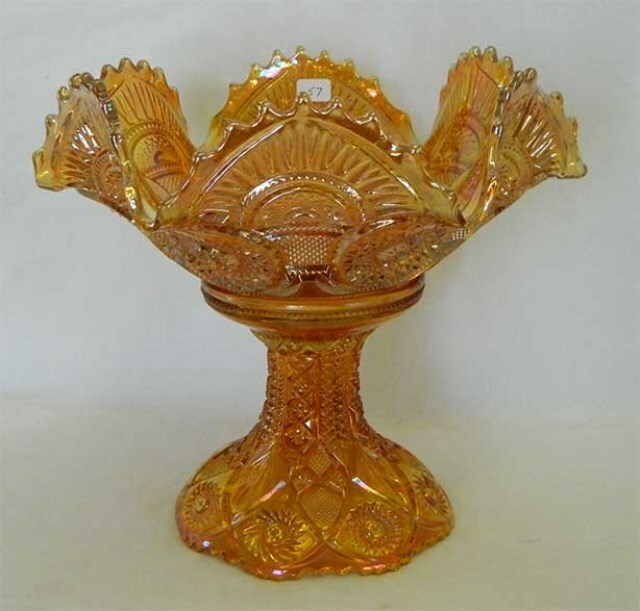 Probably the most frequently seen punch or fruit bowl, especially on eBay. 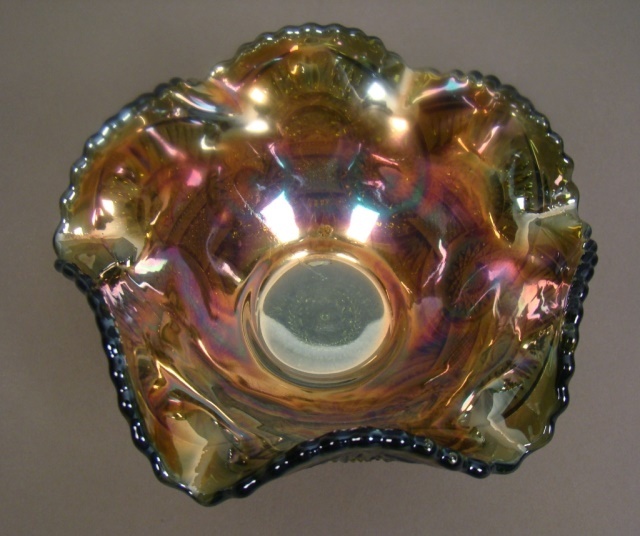 It can be identified by the arch separating the “twin” hobstars. 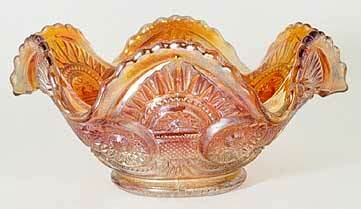 The punch/fruit sets can be found with a variety of Imperial bases. 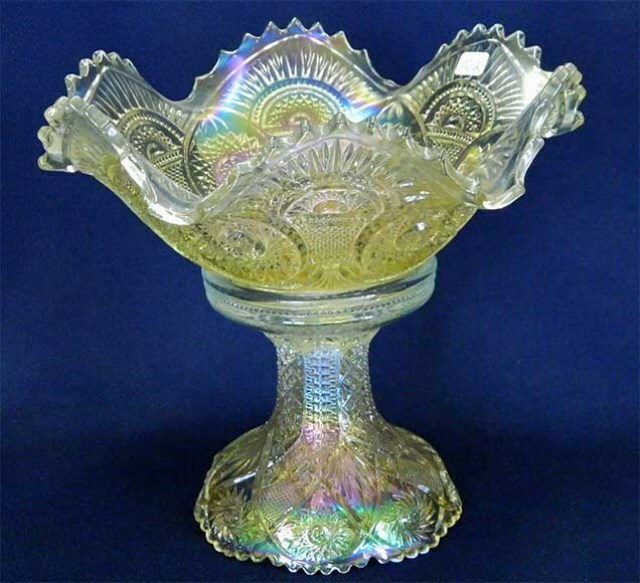 Found in two-piece fruit bowls and small bowls or sauces. 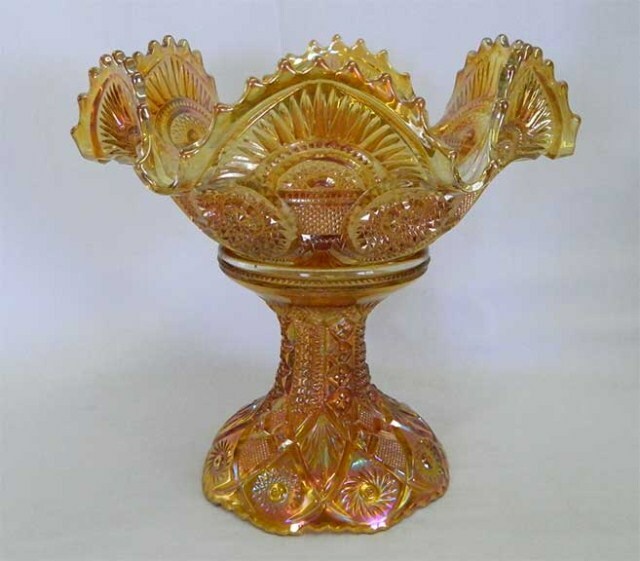 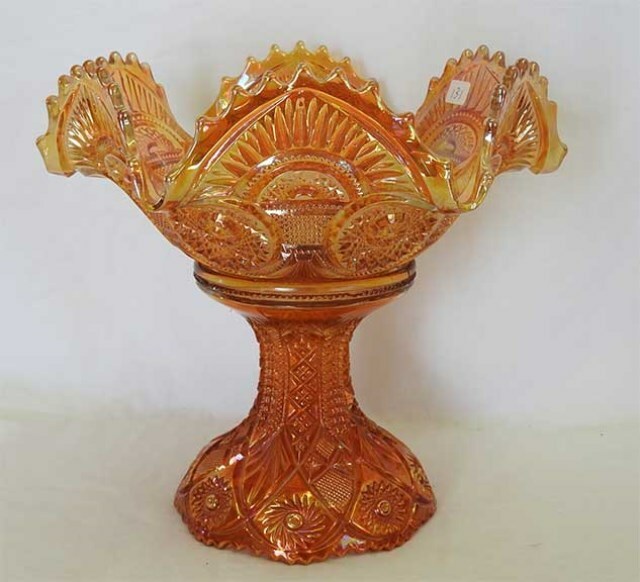 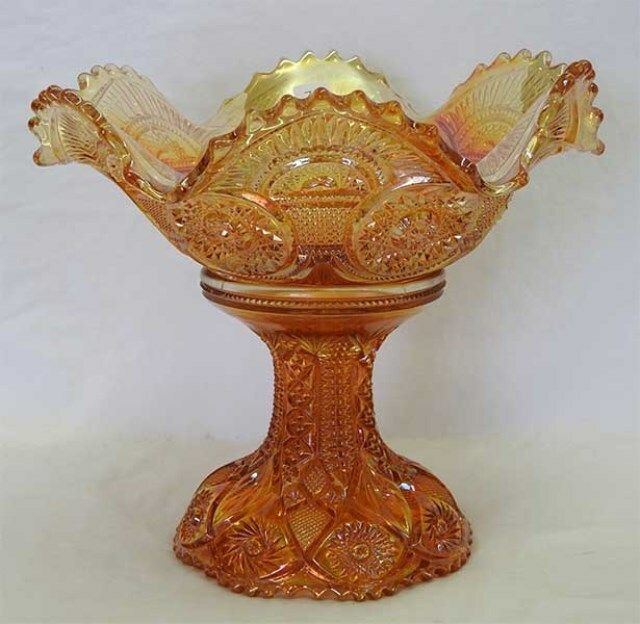 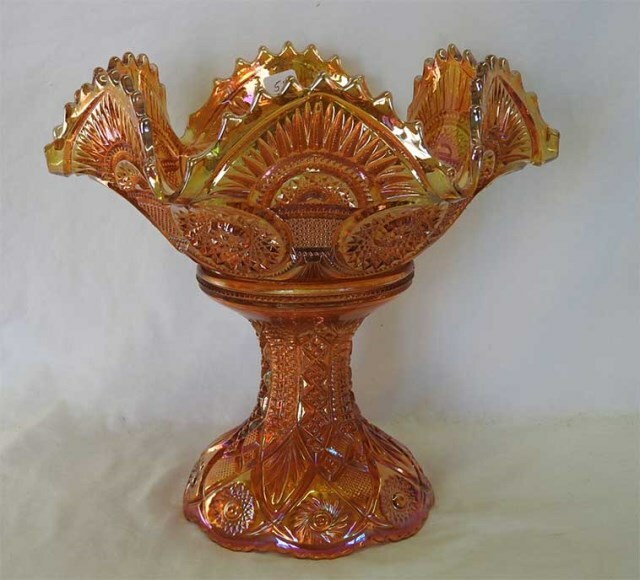 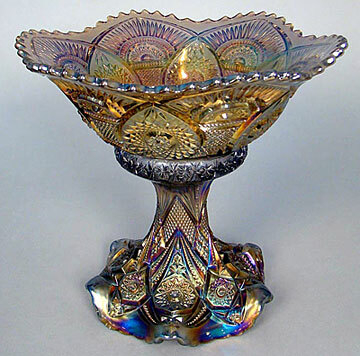 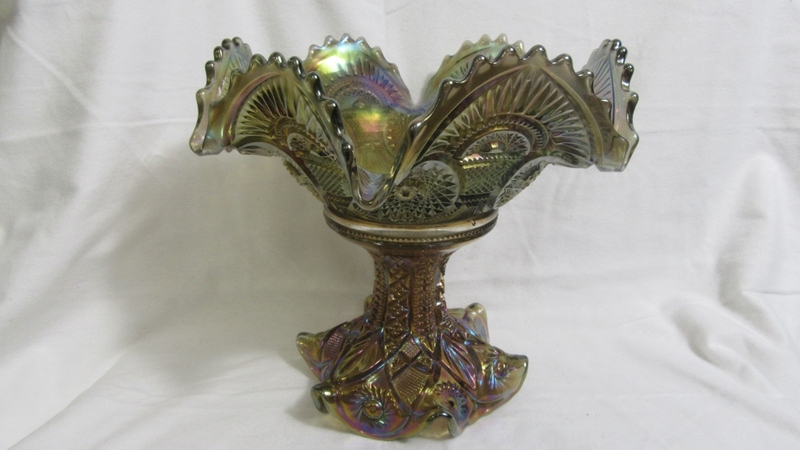 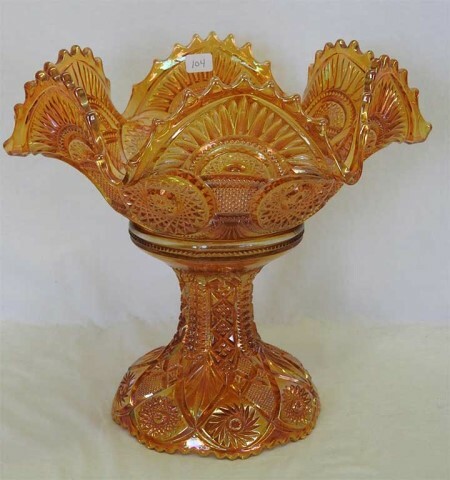 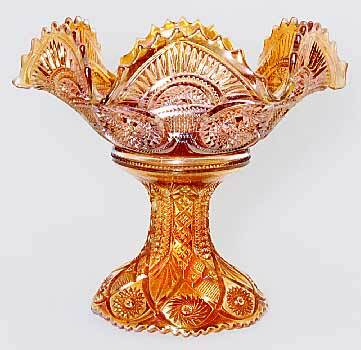 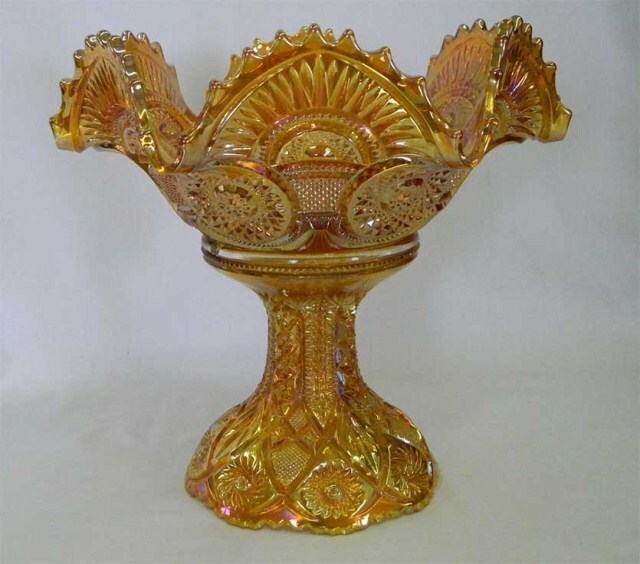 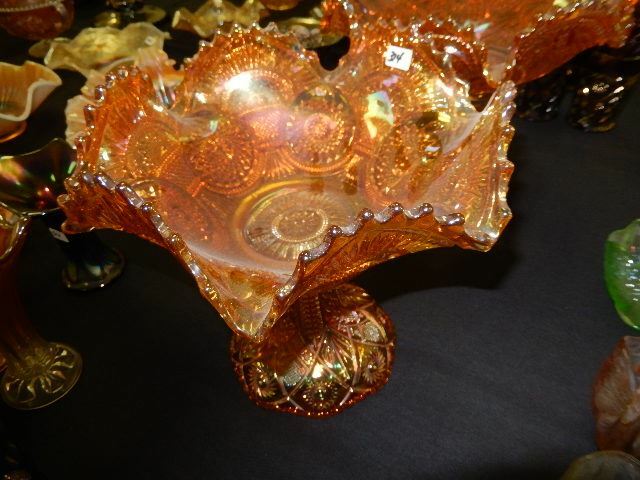 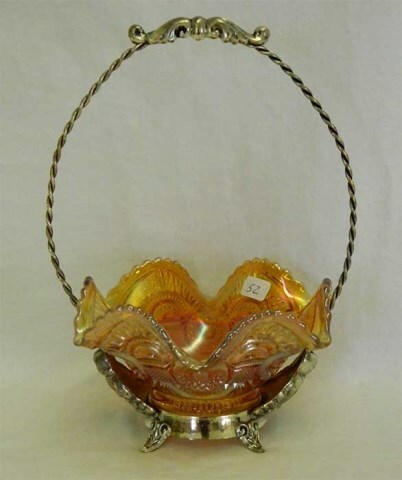 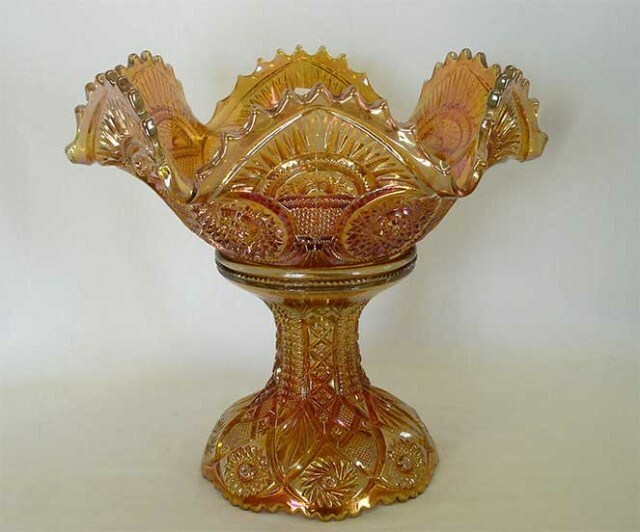 Above right is a Fruit bowl and base in smoke (note that the base here is actually Hobstar and Arches) sold in 2009 for $1,600. 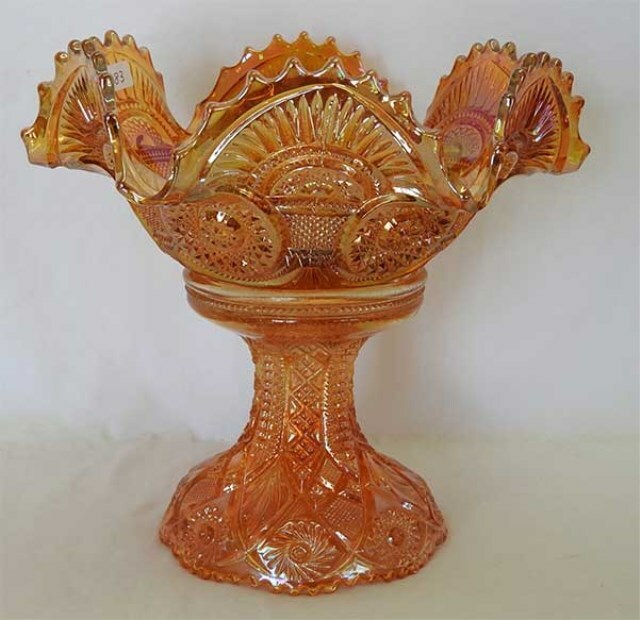 Two known.